I haven't listened to many audiobooks done by men, but I definitely have a new favorite male narrator. Holter Graham did a wonderful job creating completely different voices and inflections for all the different characters. It was incredibly enjoyable to listen to and I really liked the nuances that the voices he created and what they added to the characters. And these are truly wonderful characters. I'm probably one of the few that hasn't read the Mercy Thompson series. I've only read the first book and am a little overwhelmed by the size of that series so when I discovered there was this other series set within the same world, I jumped on it. I ADORED Charles and Anna and the difficulties that they faced as they learned to deal with their unexpected mating. Everything about this book held me enthralled just because these characters were so well-done. There is a vulnerability to both of them. They never expected this and both are so confused and floundering. It certainly doesn't help matters that their mating is completely different from how it normally works. Anna is an Omega werewolf...a rare and treasured entity, although she has NO IDEA because she's spent the last 3 years abused and torn down with NO INSIGHT into the werewolf world and the way that it's supposed to be. Charles is an Alpha, a dominant, and his father's assassin. For everything that Anna is, Charles is the complete opposite, but he treasures her and she him....although they are both so unsure of that bond between them. I got completely caught up in the romance between them. It's such a gorgeous story and I loved the back and forth between their POV's within the story so that we could see just how unsure they both are, even when they are both completely committed to the other. It's just all so new and unexpected for them. Charles is protective and so purely alpha, but he lets Anna push back and tease him. He's so careful of her. I love how upset he gets about her when he feels she is threatened. I also love how worried he is about scaring her. His job within the pack is to create fear, but he absolutely does not want that to happen with Anna. He does NOT want her to see him that way. I loved the care and fragility of that feeling between them. It created such a magical feel to their relationship. It is not Anna's nature to fight back, but she does when she needs to. 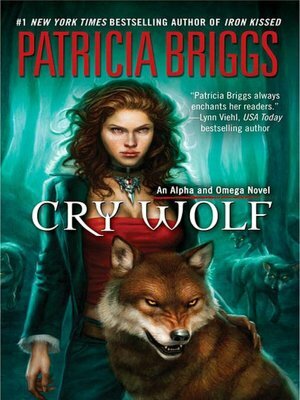 I've never heard about Omegas within the wolf world and I LOVE this introduction of their purpose within the pack. She soothes the pack...both dominants and submissives. She is also the only wolf within the pack that can push back against the Alpha...she's not unquestionably ruled by the Alpha. She is so strong especially after what she has survived over the last three years. Just by nature, Charles should always be the one standing in front of her to protect her, but I love how she was just as protective of him as he is of her. Like I said...MAGIC! I'm already in love with this series and have downloaded the next two audiobooks in the series. It's just a great story and I am sold!